Hundreds of tiny pieces combine to create anything imaginable. 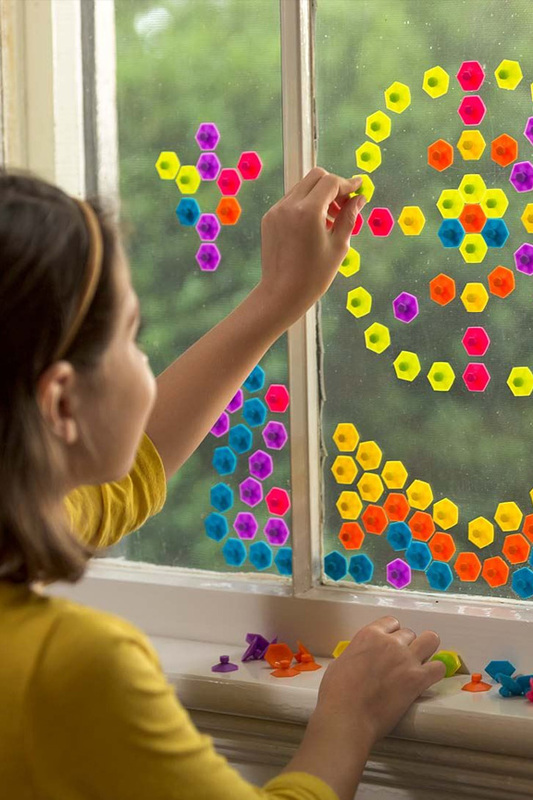 Acting almost like pixels, the vibrant suction cups work together to create larger images, and because the flat edges of each piece aligns flush with the piece next to it, kids can create patters, borders and pictures of solid color. The knob at the center makes them easy to grab, position and remove, and thanks to the strong suction, they stick well, and make a fun popping sound when removed from the surface. They're ideal for use on any smooth surface, so use with confidence on glass, metal, wood, mirrors and more. Write messages on your refrigerator, play games on a car window, design murals on a glass door, or add cartoon characters to a bathroom mirror. It comes complete with a design guide to get kids started, but the unique creations they come up with themselves will be the best part about owning this toy. 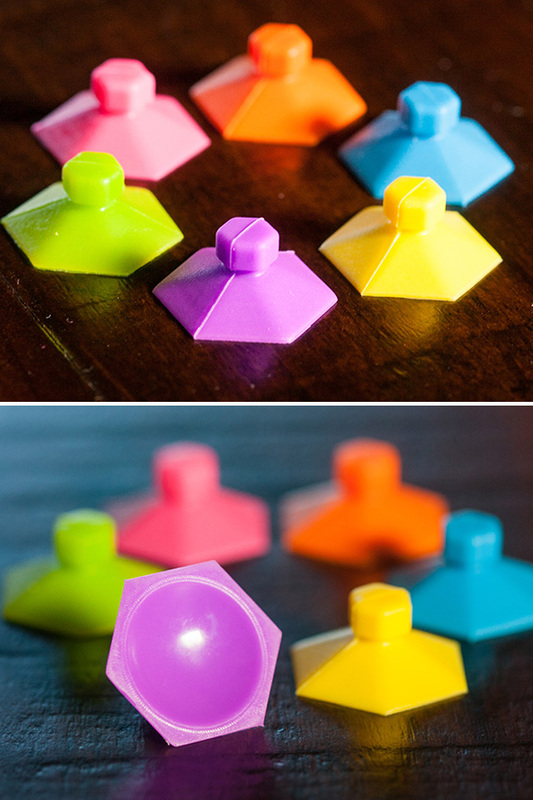 The vibrant pieces come in six fun colors, and with 252 in each set, any little artist will have plenty to get started. Educational. Designing craft and art projects with this toy will improve design skills, fine motor dexterity, and special relationships. Versatile. Use on a wide variety of surfaces, and easily stick to windows, tables, mirrors, the edges of a smart device, and more! Open Ended. Use the included guide to create specific images, or create anything else you can imagine. Vibrant. Complete with a wide variety of bright colors, you'll find opaque pieces in green, pink, blue, yellow, orange, and purple. Pixel-y. 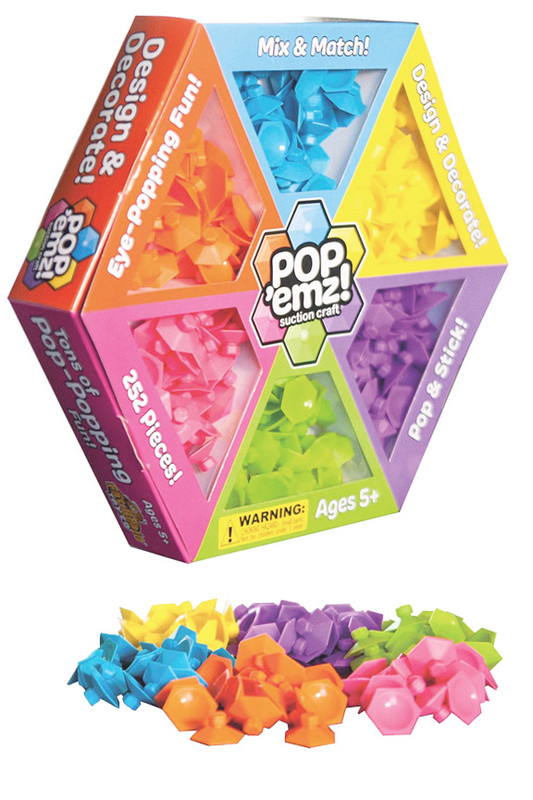 Each hexagonal Pop 'emz piece measures 1 inch in diameter, so when you use them together, they act like pixels to form a larger picture or design. Easy Off. Each Pop 'emz features a handy central knob for easy removal. Color Multiple: green, pink, blue, yellow, orange and purple. Uses A reusable craft supply for designing, decoration and playing games. 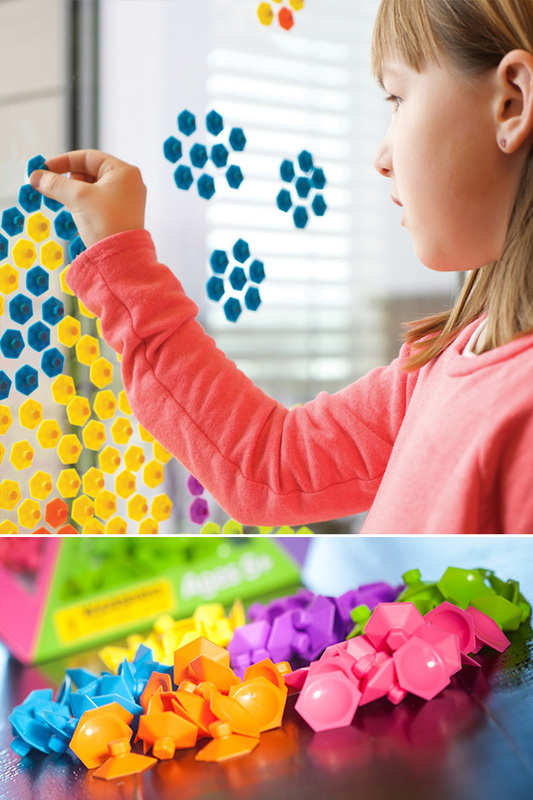 Pop and stick the colorful pieces for endless creative fun. Perfect for artwork on windows and mirrors, but also fun for other stuff like tic tac toe on vehicle windows. Order Yours Today!